I wonder why horse gram is not a part of daily food in the central Indian states , it was not known in my house and even in my in law's house ....as soon as i introduced this to our daals and poodas , it is a much appreciated food now.....legumes are loved anyways and this one for it's immense health benefits. For this pooda- uttapam , i used whole kulith with skin , it would have been a less cohesive batter if i used the horse gram only , so i added some split yellow peas to it to make it more easily workable and to make the taste better too. 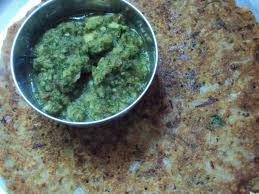 And the green refreshing chutny is a gem.......this chutny is the perfect healthy way with raw antioxidants.........see how.. So true dear, living in central India I was never exposed to this legume but my folks in Maharashtra did use it and we used to get small parcels from there. Sadly I am unable to use this much as S has a problem with it. But undoubtedly this an extremely healthy option and I am mighty impressed with the ingredients going into the chutney. 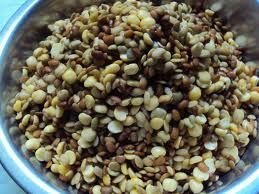 This horse gram looks amazingly healthy and delicious. Wow, I feel stronger already reading and looking at the photos. Woww.. healthy and delicious utappam.. looks perfect dear.. thanks for the recipe.. gr8 job!! A completely new yet intriguing healthy dish! Very innovative indeed. I have eaten Kolotho ( as known in Orissa) a lot...normally it is also used to adulterate in many dals like Tuar, Bengal gram, Matar dal etc. I shall try the chutney soon. I dont like Kulthi taste. Uttapam is fantastic! So healthy! Sangeeta, that is really healthy looking. Very very tempting. Thanks everybody for all the sweet words. Velva ... i am good and all is well , that is what i am working towards...thanks for the concern. Ushnish...yes the taste of kulith is not good , earth is what i said but that is a very mild description of the taste , i see that many people have described this legume as very tasty one . I have added the yellow peas daal for taste as well as texture and the foul taste of kulthi gets transformed....you get a hint of that earthiness which is nice in this recipe . I found the dried badi unbelievably good in taste too. And Horse gram is supposed to be healthy, if sprouted and consumed. lovely -kultha is recommended for people with kidney stones too-thats how I came to know of it - my mom had a small nodule in her kidney and it painlessly disintegrated after she ate well for a few months -including kultha daal .Though i didn't find it particularly tasty.Though I must try this style of eating it ! Yes varsha...even i got to know about this legume regarding the same quality of it. Helping in purging out the kidney stones. hi sangeeta ..a very innovative recipe. At my place make a chutney kind of thing with it. Boil the H gram(after soaking for few hours)saute onion(shallots) ginger garlic and red chilles or green chilles in coconut oil and grind it with the cooked dal in to a coarse paste. 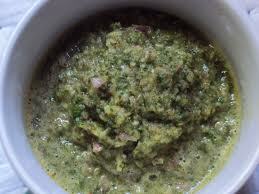 It is very tasty and goes well with rice, roil,dosa whatever.. The water used to boil the dal is use to make kollu rasam. 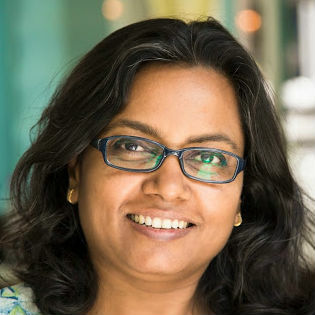 Hi Sangeetha, I am trying to find a recipe for horsegram chutney which I had once and it was amazing. t is made after fermenting horsegram, resembles a thick black bean sauce, and is eaten with rice. I was told it is made in Hasan district of Karnataka, but unable to find any recipes online. Have you heard of this one? Hi Chattywren, sice I have never tasted anything that matches your description I asked a few friends who would know better. A very knowledgeable friend Nirupama Sunder told me a recipe that fits your description, called Ulavacharu. To make this, soak Horse Gram for 4 to 5 hrs, add enough water and pressure cook for 5 whistles, keep the water aside and again pressure cook with some more water, collect the water from the cooked Horse Gram for 4 to 5 times. The consistency of the water is thick since we add just enough water to cover the HG , now take a pan add the collected HG gravy, add enough tamarind paste or extract, some garlic pods, curry leaves, tomatoes if you want, haldi, salt, and allow it to boil till it forms a thick paste of ketchup consistency, now remove from heat and make a tadka with mustard, jeera, urad and channa dall, and red chillies. While boiling she told that green chillies and red chilli powder too is added, since it is a spicier dish. The HG is not fermented, but this is a variety of black HG chutney that suits your description.